NEED ANSWERS? POP IT IN! When something went wrong, my old response was to gasp and think: “Oh no. What am I going to do? I don’t know what to do.” I’d repeat it again and again – but I didn’t even realize I was saying it. Next came the sickish anxiety in my gut. Fear clutched me like tentacles from a sci-fi film. Solutions had no way to penetrate that thick gunk of worry. One afternoon, I discovered that I went over a credit card limit that day. All I could think about were the fees, marks on my credit report and a higher interest rate. Funny how that mantra sounded like my mother! When I heard it, I changed my tune. After my request, I relaxed, let the situation go, and left for an appointment. As I walked to my car after my meeting, an idea popped in my head. Drive straight to the bank and pay the overage before the end of the business day. When I did and the bank heard my concern, they also extended my credit limit. Problem solved; benefits gained. Learning to relax and trust that all will be taken care of, no matter what, helps to wash away the goo of confusion. After all, if God takes care of the flowers and birds, surely you and I rate, too. But what about getting answers? A theme found in several Biblical references offers age old wisdom. Ask, and it shall be given to you; seek, and ye shall find; knock, and it shall be opened unto you. Put These Together. Don’t Worry. Ask for Help. Now, when I need answers, I place a simple request: POP IT IN. Whine: You know the mantra. The answer comes – either immediately or after it incubates for a while. Prayers are always answered in divine right timing, Therefore, I let the concern go and do something else. This takes care of the seeking and knocking. Taking action refocuses me. It helps me to detach from fixating on results and when they should arrive. Only Supportive Ideas Are Welcome. By the way, if an unsupportive idea pops in your head, pop it out. It’s your head, so claim dominion of it. Don’t give your power away to negative thinking. You have the power to pop in or out what goes in it. When those supportive ideas pop in, even if they’re a little outside-the-box, act on them. This is a key. Remember, everything is given according to your belief. If you allow the possibility, this really works. If you’re ready for miracles in your life, it helps to know how to find them. Remember this game? Children look for an object and are told cold, warm or hot as they get further away or closer to it. Life gives you clues like this, too, so you’ll know if you’re on the right track. You’re cold when you feel like you’re pushing a brick wall, and it won’t budge. You’re warm when you feel like you’re in the flow, enjoying a magic carpet ride. You’re hot when you’re manifesting. What can that look like in real life? Ever make yourself wrong when you don’t have energy to do what you think you “should?” Yes, sometimes you just have to take action to get your mojo running. Sometimes you need a course correction. Even if it’s the right goal, it could be the wrong approach or attitude. When you feel like a fish swimming upstream, maybe it’s because you’re going against the flow. Another way to know? If you’re moping, whining, angry, frustrated, complaining, fearful or worried, you splashed ashore. You jumped out of the flow and became a fish out of water. This is a good time to pause and observe. What makes you happy? Do you really have to force yourself to go in the direction you’re going – and the way you’re doing it? Let yourself be guided by the flow instead of trying to make things happen. Here’s how I went from cold to hot in manifesting. I decided to get living room furniture. I had images of what I wanted. The back of the sofa had curved lines. Because I enjoy holiday decorating, I wanted the sofa to be red or green. However, I became irritated whenever I went to a store. Shopping was laborious. Spending all that money and not enjoying it didn’t seem right. So, I stopped forcing myself to look. Soon after, new neighbors moved in next door. Their previous home was twice the size and several hours away. Not knowing which living room set to use until they could try them out, they brought two to their new home. They sold me the sofa from their rarely used formal living room, nicely protected in movers’ plastic. The back? Curved. Colors? Red and green. Added to this were two end tables; a coffee table; two lamps; rug; chair; and a throw blanket. Anxious to clear their garage, they sold it all for $175! Instead of pricey delivery costs because I live out-of-town from the stores, we only had to move it across the yard. My lack of interest and irritation was my guidance telling me not to shop. Made a choice – I decided to have new living room furniture. Identified details – I only had images about the colors and curved back, so I had my attention on those. I worked with what I knew, and that was enough. Took action – Shopping focused my energy. It was an on-the-job visualization. Let it go – I didn’t force myself to do what didn’t bring me joy. This allowed me to relax and open to the flow of possibilities. There’s another part of the story. I almost missed out on this deal. 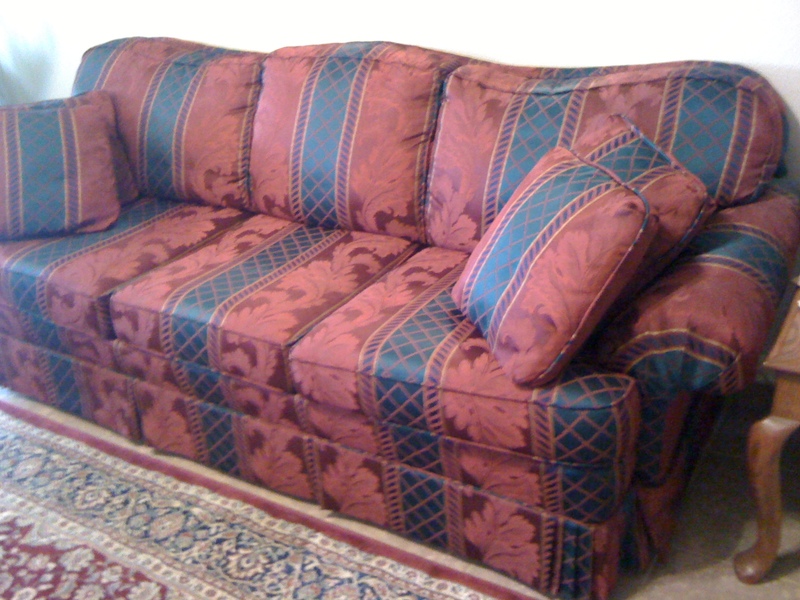 At first I was told the sofa was plaid, so I said I wasn’t interested. Fortunately, the next morning I woke up and decided it wouldn’t hurt to look. When I did, I discovered it fit the image and feel of what I wanted better than any style I’d looked at in the stores. I almost turned my back on this manifestation because I prejudged without even looking into it. Set an intention to receive what you choose for your life. Choose to be in divine flow. Take action in the direction of your goal. Let it go. I mean really let go of the need or desire to have it. Allow divine timing to work its wonders. Let me know your results! While brooding about what I want but don’t have, images emerged to elbow out my whining. Contrary to my logical thinking, I manifested my house; money to pay taxes; a brand new car; and even my boyfriend. All this was done without worrying – or, more accurately, because I didn’t worry. Boyfriend: While happily not in a relationship, I received an email from a man. He saw my name through a link up with a mutual client on a social networking forum. I only had three links of connections. I’d known him for over 30 years but hadn’t seen him in over ten. We met and discovered he was moving to a house exactly one mile from where I live – in my little neighborhood in a small, country town! Two and a half years later we’re still celebrating a conscious, loving relationship. How? I was comfortable being by myself. I chose to have great companionship but let go of the “need” to have a relationship. I didn’t see my location as a limit. In doing so, I created a space to attract someone wonderful. Instead of looking at what wasn’t working, I saw how many gifts I’d received. After seeing my life from this perspective, my attitude changed. It got me thinking. Why worry? When I got out of the way and allowed life to do its magic, things worked out. When they didn’t work is when I put a kibosh on things. I fretted by wondering if enough people would attend an event. I worried if I’d have enough money for something. I got discouraged and frustrated that things might not work out the way I thought they should. Therefore, I manifested what I focused on – what I didn’t want. Worry doesn’t pay – especially the bills. • There are no limits or quotas on how many you can have. • You don’t have to earn them; miracles are your birthright. • Relax and be open to them. Let go and let God. • Miracles appear in divine right timing. It’s a collaboration between your soul and Creator as to when they show up. • Choose to believe in and recognize miracles when they’re gifted to you; it refocuses you to receive more. Be grateful and count your blessings. • While waiting for “big” ones, you may miss the small ones. Actually, they’re all big. • Life is always given according to your belief. Believe in possibilities manifesting beyond what you can mentally conceive. Choose to live a miraculous life, and it’s yours. Well, your life is always miraculous. It’s easier and more fun, though, when you recognize this. 1. Refocus your attention by making a list of your miracles and successes. 3. Set an intention to receive what you choose for your life. 4. Choose to be in divine flow. Your life has always been blessed with miracles. The near miss from having an accident. A smile from a stranger, an email or a phone call when you felt down and on your way out. Things turned around in your favor. You miraculously manifested a goal. Focus on what you’re grateful for, and you’ll multiply your reasons to be grateful. What miracles have you had? Which ones do you choose to manifest now? Begin by taking action. The rest is easy. Feeling stuck or frustrated because you can’t figure out how to make something work?Maybe you got discouraged because you can’t imagine how to solve a problem or achieve your goals. This doesn’t mean it can’t be done. Solutions beyond your wildest expectations can happen. Enjoy how one woman miraculously achieved her goals in a seemingly impossible situation by horsin’ around. 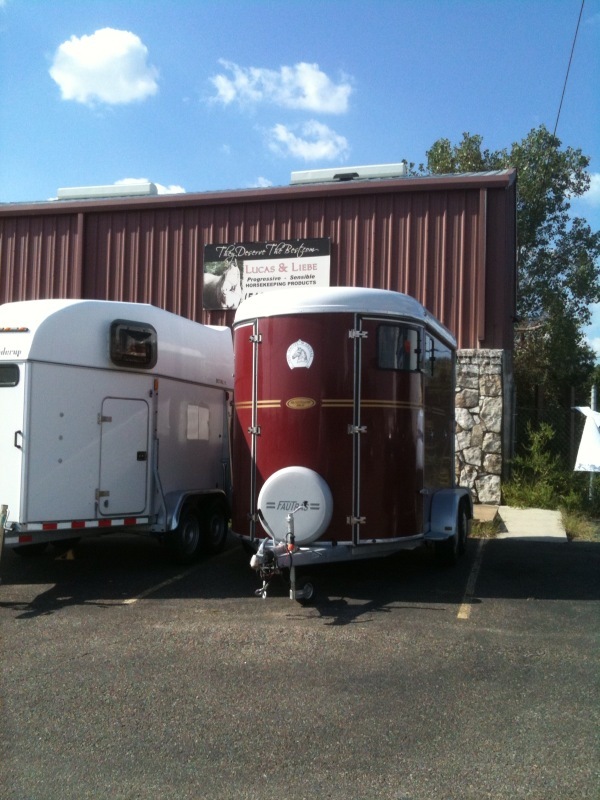 I was very interested in becoming a dealer for a new manufacturer and adding their horse trailers to my product line. After many interactions with the owner’s son, I felt that I really wanted to pursue it. He presented me with an attractive commission structure if I bought three trailers at a time, but not worth it if I bought less because of the high shipping costs. Regardless, I didn’t see any way I could make this pricey investment. Nevertheless, I still wanted to see them in person. There would be models on view in Lexington, Kentucky. I was supposed to go to a horse clinic in Dallas on the only weekend that I could go to Kentucky. So, I thought, it’s not meant to be. Next thing I know, the clinic in Dallas was CANCELLED. The clinician cancelled her whole US tour! A nice couple showed up to look at his trailers. They told the son right off that they saw my website and decided to buy the trailers that I’d been selling in Austin from ME, even though they live in Tennessee! That’s when he took them over to meet me. Next, they asked me to discuss the differences between the two trailers. By then I knew quite a lot about his trailers and was able to do a really nice job of it, so much so that the wife thought she might want to buy his! At this point, I’m wondering if I really shot myself in the foot. The son wrote up the order for them to see what the cost would be and hands me one of the copies since, he said, it’s MY deal. They laughed and asked me, “Are you going to be a dealer?” I said, “Well, it sure looks like it!” But, they decided not to buy on the spot and give it some thought. In the meantime, a couple I know drove all the way from Austin to Lexington for the games. I had asked them to check out the new trailers for me (when I thought I couldn’t go), and they emailed me that they liked them. They would even bring one back and tow it for me, if I wanted. Through an amazing sequence of events, the son allowed me to take the trailer that the Tennessee couple were interested in (a $19,000 trailer, mind you) and let the Austin couple tow it all the way back for me! They got it here in time for me to take both style trailers to a big show where each received lots of attention. Now, the Tennessee couple and I began to email. 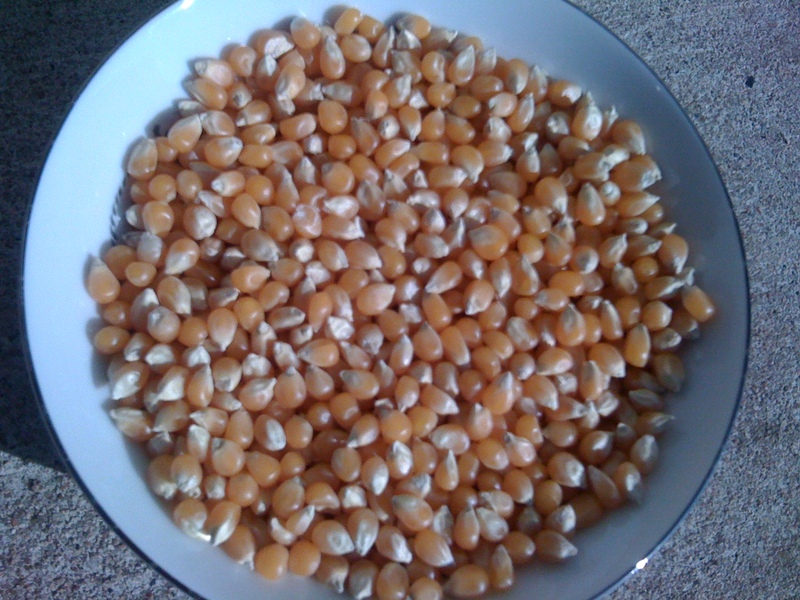 We solidified the differences, advantages and disadvantages of the two trailers. But, guess what? They not only ORDERED the trailer they saw in Kentucky. The owner’s son delivered it to them in Tennessee! I received a hefty commission on THAT trailer, AND I got to keep my beautiful demo trailer for future sales. How amazing is all of this? It’s like you said, it doesn’t have to be ONE WAY. It can be so many ways… I now have a trailer in my possession to SHOW PEOPLE and on top of all of that, the son told me to USE IT so people can see it wherever I go. I have an amazingly gorgeous new trailer for my own use that I haven’t had to PAY FOR. Not long after, the manufacturer of the original trailers she’d been selling went out of business! If she hadn’t become a dealer, she could have been left with no trailers to sell – and they are an essential part of her business. Became a dealer before she knew she’d need it because the other business closed. No matter your situation, you are loved and cared for beyond what you can conceive. You’re not alone. There’s always a way out. Be open to infinite possibilities.